Los Angeles Excursion is entertaining, fun and educational private excursion of Los Angeles. Our coach bus with professional guide will pick you up from your hotel, LAX airport or Los Angeles port cruise terminal. Perfect for LAX layovers, straight to the point, customizable sightseeing just for your family, group. Great for families with kids and seniors! Hollywood sign excursion – view in Hollywood Hills. Stop, take pictures, sightseeing walk with tour guide. Hollywood tour of Walk of Fame, Grauman’s Chinese Theater, Dolby Theatre VIP tour. See famous Hollywood star hand-prints, footprints. Walk with tour guide. Beverly Hills Rodeo Drive tours. Most expensive shopping street in the world. Stop, take pictures, sightseeing walk with tour guide. Hollywood Celebrities star homes excursion in Bel Air in Beverly Hills. See where rich and famous live. Sightseeing from your own private VIP vehicle. Santa Monica Pier and the Venice Beach excursion. See world famous beach, where renowned shows and movies were filmed. Sightseeing walk with tour guide. Minimum 2 people. Includes all the taxes, admin. fee. Does not include guide gratuities, if you like the tour. Discount available for groups of 3 or more. Los Angeles Excursion available for families with kids, seniors and groups of all sizes. If you have any questions, just drop us a quick note to info@latraveltours.com or call 1-800-761-1775, In Australia, call (03) 9005 5907.American Riviera Tours reviews. 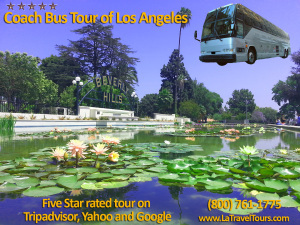 We will be glad to help you with the half day LAX airport city tour in Los Angeles. Private and personal guided LAX air port layover tours available to schedule anytime. *Drop off and pick up is available also at the Los Angeles port World Cruise center in San Pedro, CA or Long Beach port cruise terminal. Best value you can combine shuttle transportation transfer service and travel tour together.